Where are all my snackers at?! 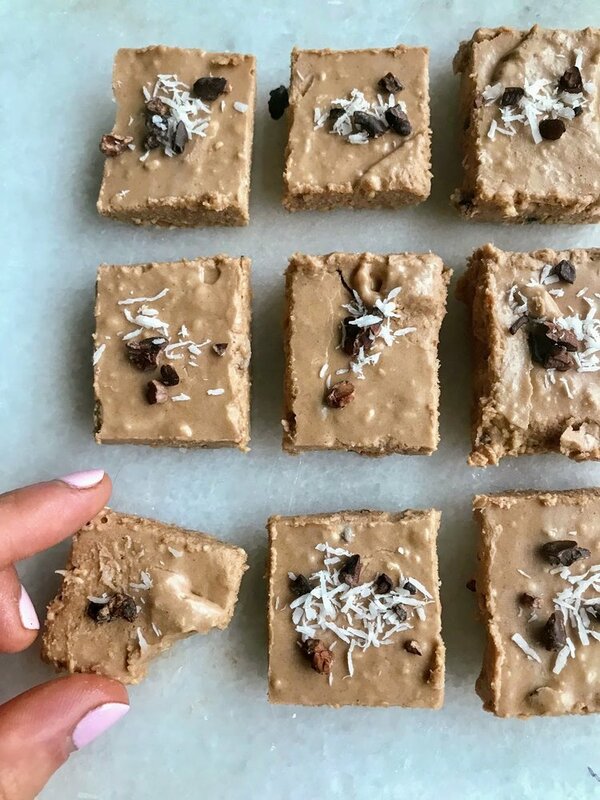 This high fat, low sugar treat that tastes like FUDGE will satisfy your sweet tooth, while keeping you full and full of energy. My chocolate fudge keto bite recipe calls for only five ingredients, making it super simple to make! It's also vegan, and free of gluten and refined sugar! Cacao nibs or coconut shreds for garnish! 1. Add all ingredients to a food processor and blend until smooth. The consistency should be loose like a pudding. 3. Freeze for 30 minutes until solid. Store in the fridge or freezer for up to 1 month! Kämen Foods coconut oil is available on Treatmo iOS app - fresh and natural food in a tap. For my Keto Blueberry Bites also made with Kämen organic coconut oil, visit www.lexiborr.net! Hi, I'm Lexi Borr, a story contributor at Treatmo. I'm currently a student in nutritional therapy and run a healthy meal prep service in Nashville. To learn more and get more healthy recipes, visit lexiborr.net or follow me on instagram @lexiborr.